Take a week out from everyday life to explore the incredible attractions on offer in Outback NSW national parks. This region truly has something for everyone, from invigorating hikes to scenic views and plenty of opportunities to spot a rich array of wildlife. Keep your binoculars close by; they’re sure to come in handy when exploring the ancient rock formations of Mungo National Park and the floodplains at Mount Talowla lookout. History buffs will enjoy the fascinating Aboriginal culture and shearing history of this area, from ancient rock carvings along the Mulgowan (Yappa) Art Site walk to the Australian pastoral heritage of Kinchega Woolshed. For those looking to relax, there are many tranquil spots beside the Darling River where you can stop for a picnic lunch or set up camp under a star-filled Australian desert sky. You might like to visit the Darling River Run website for more detailed information about the towns you'll travel through, outback travel tips, and a more detailed map. 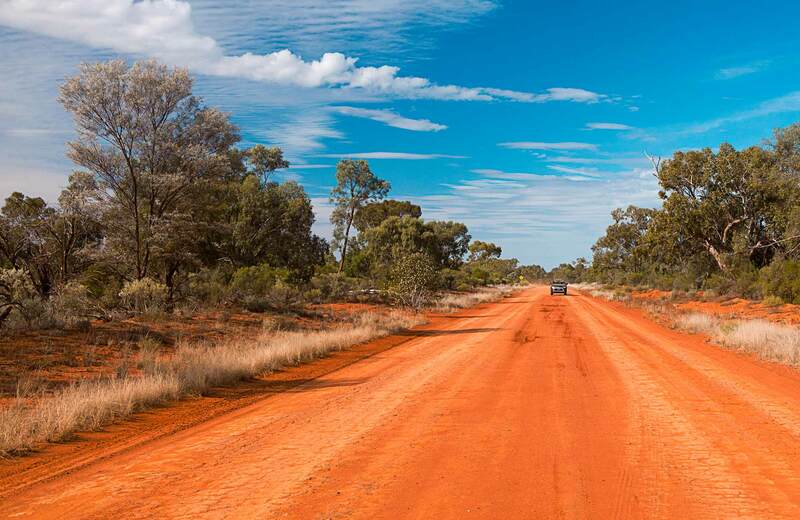 It’s an easy 70km drive from Bourke to Gundabooka National Park, where the patchwork of red sandstone, woodlands and floodplains stretches from Gundabooka Range to the banks of Darling River. 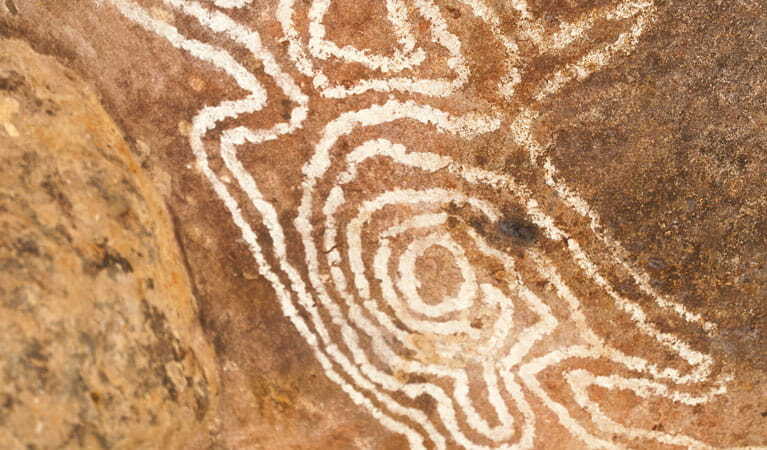 Be amazed by the Aboriginal rock art on the Mulgowan (Yappa) Art Site walk and marvel at the park’s striking geography. At the end of the day, relax on the verandah at historic Redbank Homestead under a starry desert sky. Mulgowan (Yappa) Aboriginal Art Site walking track offers a unique Outback experience with Aboriginal rock art and birdwatching in Gundabooka National Park, near Bourke. Journey to Toorale National Park to visit the fascinating historic site of Toorale Homestead precinct. You’ll gain an appreciation of the spiritual and cultural connection between the Kurnu-Baakandji People, the Pastoral industry and the land. Listen to the stories and tour around the homestead to really immerse yourself in Toorale’s past. 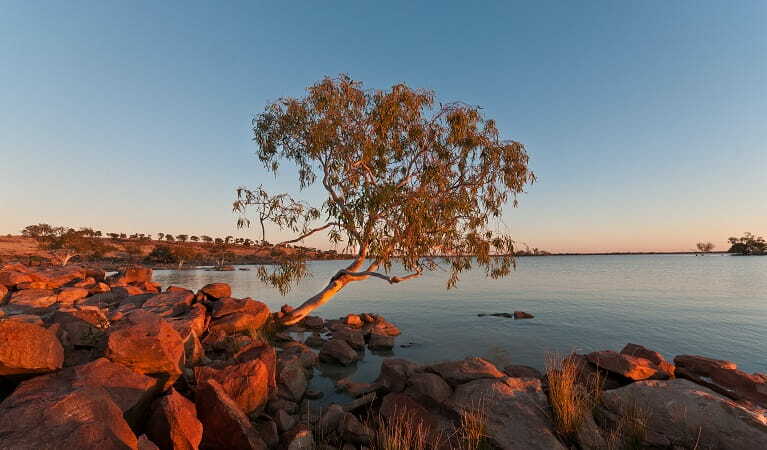 After your visit, head back to Redbank Homestead in Gundabooka National Park. Here you can paddle, fish or relax by the river before settling down for the night. Toorale Homestead precinct (Yarramarra) is a must-see for outback travellers near Bourke. Built on the lands of the Kurnu-Baakandji People, Toorale Station was once part of the world’s largest sheep station. Make your way through White Cliffs to Peery Lake picnic area where you’ll be treated to a birdwatcher’s paradise. Unwind by the lake and enjoy the stunning views as you listen to the waterbirds play. After a relaxing barbecue lunch, journey to Kinchega Shearers’ Quarters where you’ll get a taste of life as a shearer as you bunker down for the night in this unique heritage building. A birdwatching paradise when Peery Lake is full, stop for a barbecue or a short walk at Peery Lake picnic area – in the northern section of Paroo-Darling National Park. Explore historic Kinchega Woolshed, a classic piece of pastoral heritage, and imagine the heyday of this place where six million sheep were sheared. Then travel to Mungo National Park where you’ll be treated to ancient archaeological treasures including the famous Mungo Man and Mungo Lady. 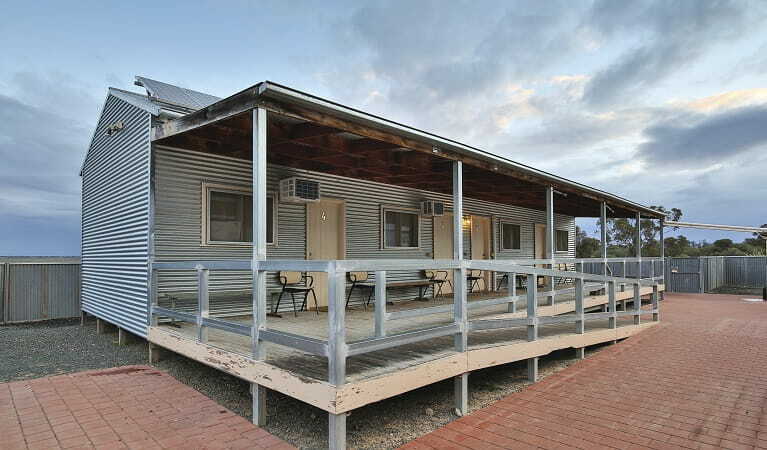 Before night falls, make your way to Mungo Shearers’ Quarters and get a taste of shearing history in this unique refurbished accommodation. Visit the beautiful historic Kinchega Woolshed for a glimpse into Australian pastoral history and imagine the heyday of this place, where six million sheep were sheared. Start your day with a tour of the iconic Walls of China. Discover its rich Aboriginal history and learn how the ancient rock formations of this landscape have been shaped over thousands of years. Stop for a leisurely lunch before finishing your outback adventure with a sunset drive along Zanci pastoral loop, a route that includes some of the oldest evidence of human and animal life in the world. 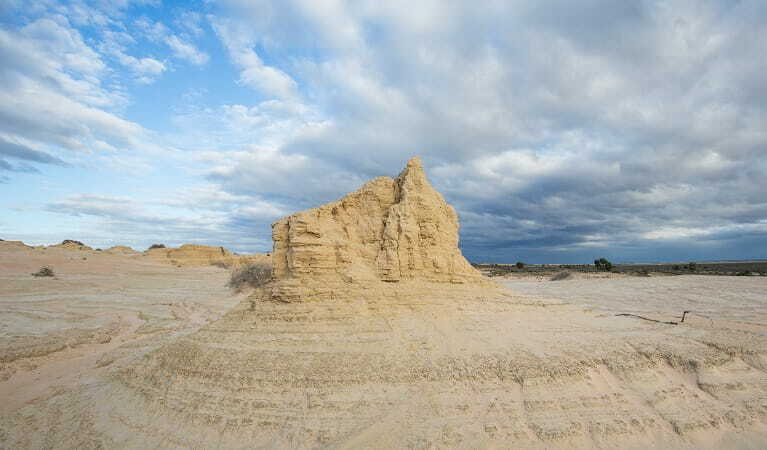 When you visit Mungo National Park, take a tour to the Walls of China guided by an NPWS Aboriginal ranger. 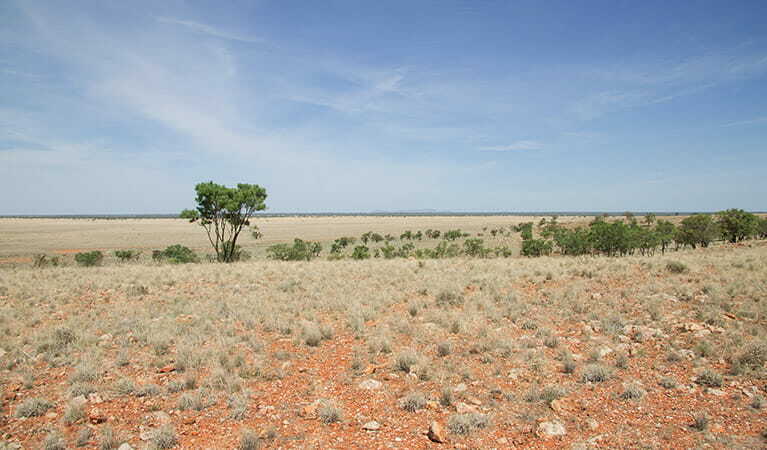 It's one of the most spectacular outback landscapes in NSW. April 2019: Tours run Monday to Sunday, 9am to 11am and 2pm to 4pm. No tour 9am to 11am, Friday 5 April 2019, Monday 22 April 2019. May 2019: Tours run Monday to Friday, 9am to 11am and 2pm to 4pm. Saturday 1 June to Friday 28 June 2019: Tours run Monday to Friday, 9am to 11am and 2pm to 4pm. Saturday 29 June to Monday 22 July 2019: Tours run Monday to Sunday, 9am to 11am and 2pm to 4pm. Cycling or car touring the historic Zanci Pastoral loop through Willandra Lakes World Heritage area in Mungo National Park, offers superb wildlife and birdwatching.